. كما يقدم Ward Street – Adelaide DressCircle Apartments الكثير من الخدمات لإغناء رحلتك في أديليد. إن واي فاي مجاني في جميع الغرف, تسجيل وصول/تسجيل خروج خاص, تسجيل وصول/خروج سريع, واي فاي في المناطق العامة, صف السيارات هي جزء فقط من الخدمات التي تميز Ward Street – Adelaide DressCircle Apartments عن باقي الفنادق في المدينة. بالإضافة لهذا,تتضمن كل غرف الضيوف مجموعة واسعة من وسائل الراحة . بعض الغرف توفر حتى تلفزيون بشاشة مسطحة, اتصال لاسلكي بالإنترنت, اتصال لاسلكي بشبكة الإنترنت (مجاني), غرف لغير المدخنين, مكيف هواء لإرضاء أكثر الضيوف تطلباً. كما أن مجموعة الخدمات الواسعة الموجودة في الفندق لضمان راحتك تترك لك الكثير من الخيارات لقضاء وقتك أثناء فترة إقامتك. استمتع بخدمات لا يعلى عليها وعنوان ذو اعتبار في Ward Street – Adelaide DressCircle Apartments . الحجز لنفس اليوم متاح فقط حتى 5:00 PM. Location's tricky; Room's clean, but facility's bit old and hot water is an issue; Staff was friendly at first; but they would blame you for troubles later. PARKING IS HORRIBLE they gave the wrong remote in first place and then changed to one that was not working, and staff came over to open gate for you, but apparently this was "a HUGE favour" (to quote the staff's words), and he said it's somehow your mistake! For god's sake WE PAID FOR THE SPOT! And GUESS WHAT? When you came from dinner and the parking spot was taken by other residents and we had to pay for parking somewhere safe and NOT GET REFUND. We wanted to cancel remaining twonights stay, staff was horrible and tried talking us into "try another night here and the parking lot won't be taken" and they absolutely have NO CONTROL over the parking lot. AND THEY INSIT YOU STAY&CHANGE YOUR PLAN and THAT IS WHAT THEY CALL "CIVIL WAY TO SOLVE ISSUE". WORST Experience. NO REFUND AT ALL. Read the unfair Agoda policies before booking. Room was a lot smaller than in photos, very close to a busy road and very noisy. We also could not have one shower without hot water running out. Heater was inadequate also. We left after our first night due to these issues and although the staff were nice we were disappointed that we did not get a refund for the second night. The unit was smaller than expected & didn't realise we had 2 flights of stairs. The dining chairs not comfortable & air conditioner not working efficiently as it was very hot. However Dress Circle staff were helpful & moved us to another apartment in Archer St. which was very satisfactory? Excellent location for both units & very clean. Lovely, clean and well appointed apartment, everything there that we needed excellent location and very quiet. Overall a very enjoyable stay wished we had been staying longer. would stay again if in Adelaide. Not quite at dress circle level, more like front row stalls, our place was clean, tidy and well located. Staff were excellent and we were satisfied with our stay. Room was clean. Enough utensils in the kitchenette. No tissue paper. Only one of each shampoo and conditioner left for 3 nights stay. Good internet connection. Overall very nice place to stay. Comfortable stay though flats are very small. Excellent location close to centre of town. Well-equipped kitchen. Close to everything including trendy cafes/restaurants, groceries and the city centre. Clean and tidy apartment with extensive amount of facilities, we loved cooking in the big new kitchen which was stocked with a range of utensils. Very friendly staff, free parking and spacious. Only negative thing I can say is the traffic noise level as the windows are not double glazed. We enjoyed our stay in this lovely apartment as seen in the photos. Check-in was easy even though we arrive late at night. Merel and her staff were really helpful throughout the stay and many brochures and maps were made available by her team in the folder in apartment which really wowed us with their service. Location was good as there are many restaurants and supermarket along O'Connel road, not mentioning the bus stop just outside apartment if you're travelling in the go zone. 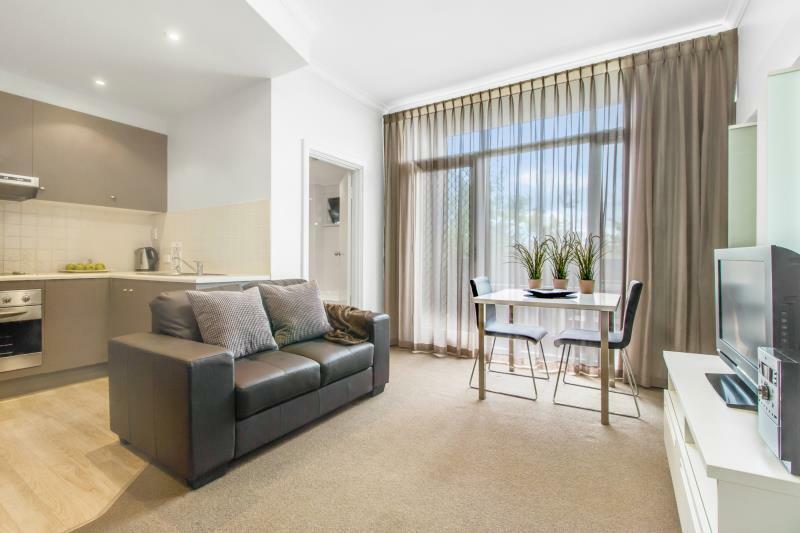 Thumbs up to the team and reccommend for any if you are looking for an apartment in Adelaide. I have rented an apartment here before and returned to Adelaide just to visit. Would definetly stay here again. I stayed in a one-bedroom apartment at Ward Street for a week. The apartment is perfect for 1 person, and the location is great. Also, I really appreciated the on-site parking that was provided on request. Excellent service! Super location, nice and clean apartment! 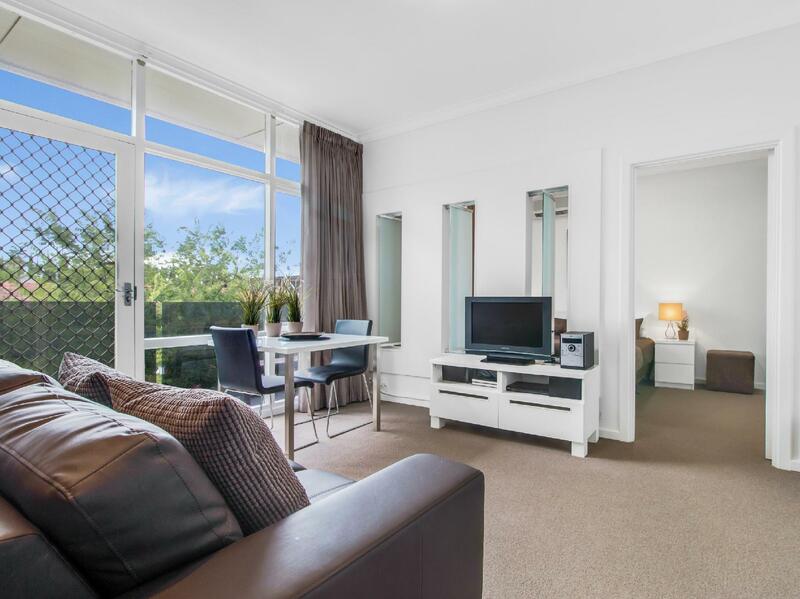 Practical layout, parking off street, close to public transport, restaurants and cafes.